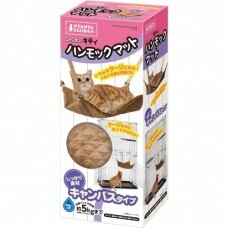 With this Cat Hammock, the curious cats in your household can keep an eye on their indoor & outd..
30 x 30 x 18cm .. Size: 30 x 30 x 18cm ..
45 x 32 x 2cm ..
Cats that live exclusively indoors can easily become bored. This is why your cat often spends a significant amount of the day looking out of the window – they have an unfulfilled longing for the outside. 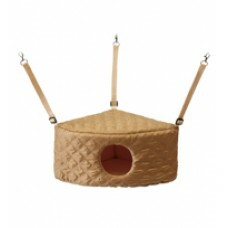 Give your cat the ultimate sunbathing, bird watching and snoozing spot with the hammock bed. 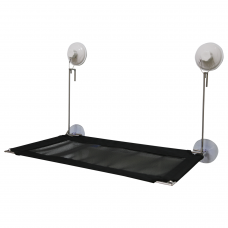 A hammock bed offers a comfortable, secure, elevated perch for your cat to enjoy. Just like that favourite leather couch of yours, a high-quality, comfortable cat hammock can provide a sense of warmth, security and comfort. 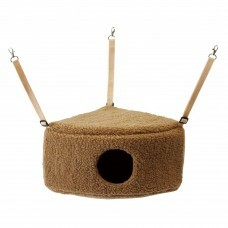 Not only will this be the ultimate sanctuary for your cat, it will also help reduce the amount of messy hair off your furniture!